People clapped and drivers honked as the final section of Main Street reopened Thursday to the public, and several businesses eagerly opened their doors for the first time since a devastating flood on July 30. ELLICOTT CITY, Md. — Cars and pedestrians can now travel freely through Ellicott City’s historic downtown. “To be perfectly, honest it brought tears to my eyes, to finally hear the noises that you would expect to hear down here again,” said Julia Sanger, with Main Street Rising. Sanger opened Main Street Rising next door to her original store, Park Ridge Trading Company, which remains shuttered for extensive repairs to fix the flood damage. “The places that we normally go to like the fudge shop or the candy store, stuff like that being closed — it just doesn’t look natural,” said Chris Smith, 53, of Ellicott City, who walked the street with his wife. Ed Cushman and his wife, Darlene, came from Millsboro, Delaware, and both wore shirts that read #ECSTRONG as they watched Main Street reopen. “To see [the town] get back on its feet is our primary objective,” Cushman said. Almost three months of Main Street being closed has been tough on the small businesses that call it home. 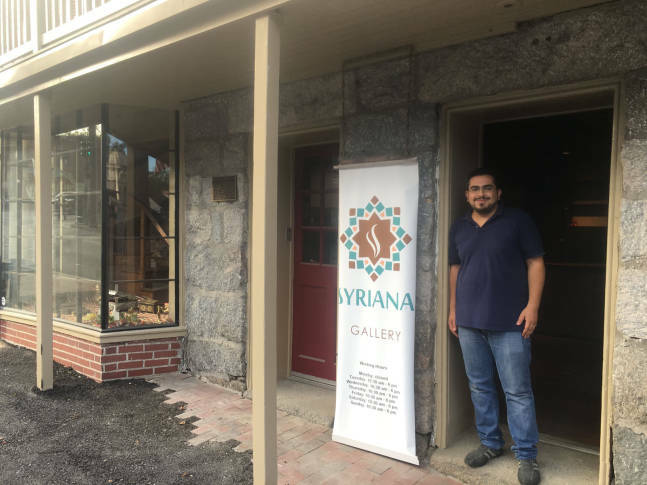 “We just opened three weeks before the flood; it’s a startup business, so we struggled a lot,” said Khaldoun Alghatrif, owner of the Syriana gallery. Some businesses remain construction zones, as drywall and floors are replaced. For business owners who were uninsured, their future remains uncertain. “It makes me kind of upset that I am not ready to open now,” said Sally Tennant, whose home and business were damaged by the water, and whose car was swept away by the waters and destroyed. Tennant has owned the Discoveries art store on Main Street for more than 30 years. Tennant says she is determined to reopen, but as bids come in for repairs, she realizes she doesn’t have the money to cover the work. “I need a lot more than what we’re gonna have, so I don’t know I am going to pull this off,” Tennant said. 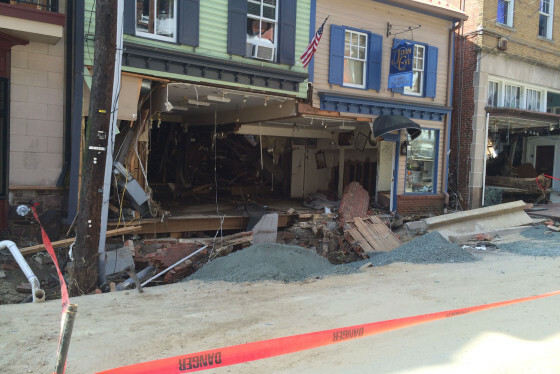 Ellicott City, Maryland, experienced historic flooding on July 30, 2016. See photos.